The year 2016 is the 100th anniversary of the North Carolina State Park System and NC State Parks are celebrating in a big way with events throughout the year. There are nine state parks in the mountains of western North Carolina, and we’re fortunate to have four nearby, which we’ll profile for the next four months. 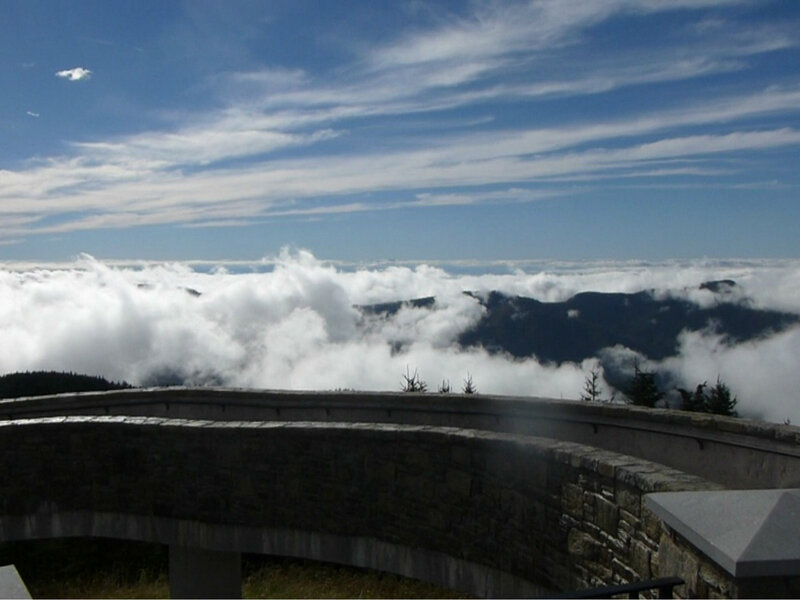 This month, we take a look at Mount Mitchell State Park. Mt. Mitchell State Park, accessible from the Blue Ridge Parkway via Highway 128, north of Asheville, is part of the Black Mountain range. In fact, Mt. Mitchell and nearby peaks along the same ridge are all similar heights and were once considered one mountain, and were simply called Black Mountain before Mt. Mitchell was named Mt. Mitchell. This is not to be confused with the charming small town of Black Mountain, which is located south of Mt. Mitchell at the base of the Black Mountain range. 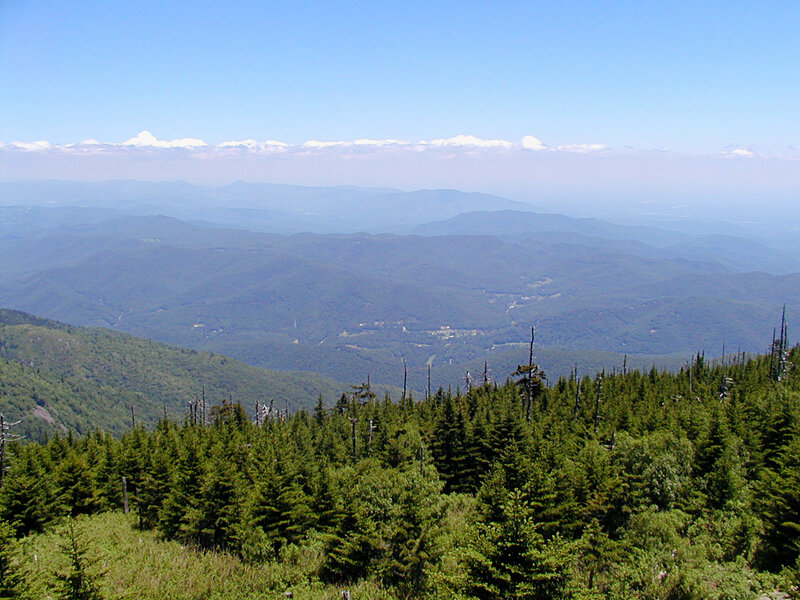 Six of the ten tallest peaks in the eastern United States are in the Black Mountains, with Mt. Mitchell getting top honors, at 6,684 feet. The mountain was named after Elisha Mitchell, a science professor from the University of North Carolina. Dr. Mitchell was convinced that the Black Mountains contained the highest peak in the region and set about trying to prove it in 1835. How does one measure the height of a mountain in the mid-1800s? By taking barometric pressure readings and doing some impressive math calculations, of course. Dr. Mitchell came up with 6,476 feet at first, and then refined his calculations after visiting the range a couple more times over the years, finally coming up with 6,672 feet in 1844. He was just 12 feet off the actual height. Sadly Dr. Mitchell was knocked unconscious after falling from a cliff near a waterfall while hiking up the mountain in 1857 to verify his claim, and he drowned in the water below. The mountain was renamed Mt. Mitchell the following year in his honor. 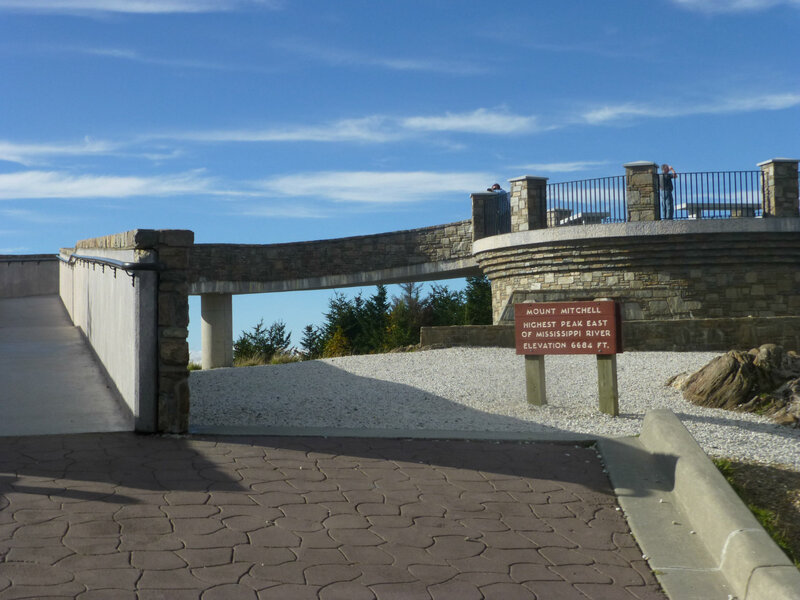 His remains were moved from Asheville to the mountaintop and reburied there in 1859, and as visitors reach the observation deck at the peak of Mt. Mitchell, they can see Dr. Mitchell’s tomb at the base and pay their respects to the man for whom the mountain is now named. In 1915, the North Carolina legislature authorized the purchase of land around Mt. Mitchell to establish the state’s first park. 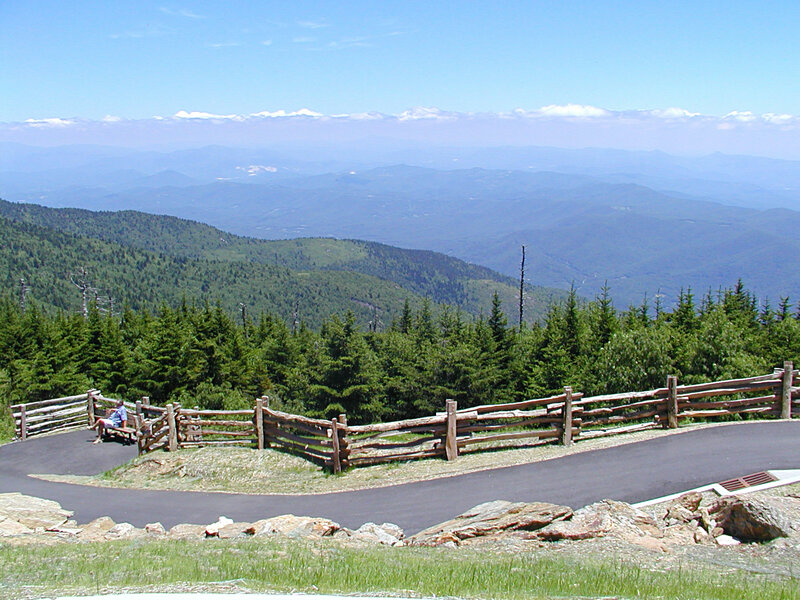 In 1916, 795 acres were acquired for $20,000, and Mount Mitchell State Park became a reality. Today, Mount Mitchell State Park is just under 2,000 acres, with land conservation efforts set to more than double the park’s size through conveyance of another 2,744 adjacent acres. On August 27 and August 28, 2016, the NC Parks System will be holding special centennial celebrations at Mount Mitchell State Park. Read about the events at www.ncparks.gov/mount-mitchell-state-park/events-and-programs/centennial-celebration. An estimated 8 out of 10 days at Mt. Mitchell have clouds. Still beautiful! 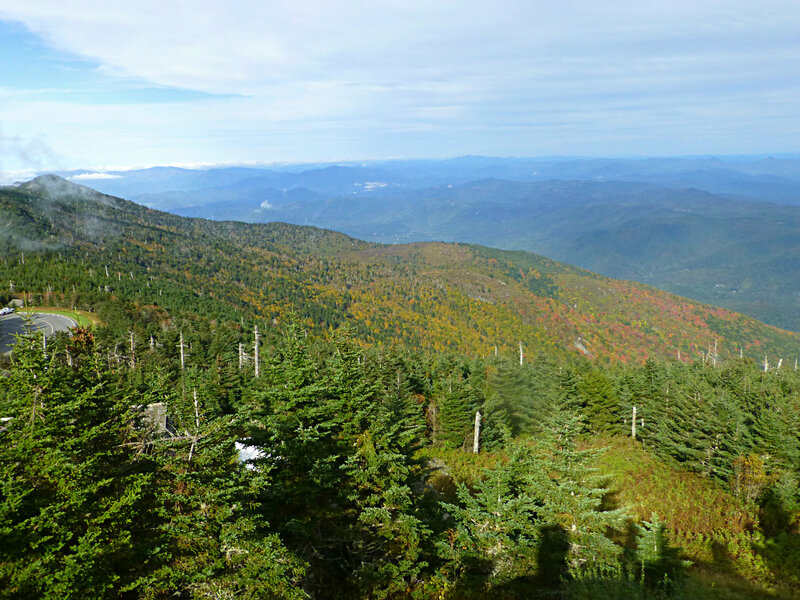 Mount Mitchell State Park has a lot of great hiking trails, including the Deep Gap Trail, the first mile of which takes hikers from the peak of Mt. Mitchell to the Peak of Mt. Craig, the second highest mountain in the eastern United States. Mt. Craig is named after Locke Craig, North Carolina’s governor who helped in the effort to protect the land around Mt. Mitchell in 1915. Another trail popular with our guests is the Old Mitchell Hike, a 4-mile round-trip hike that starts below the peak and heads up to the top. We can hook you up with a trail map when you stay at the Inn on Mill Creek Bed & Breakfast. To get to Mount Mitchell State Park from the Inn on Mill Creek (about 60 minutes away), we recommend making a loop by heading east from Old Fort to Highway 80, then north to the Blue Ridge Parkway. Head south (really, you’ll be heading west) on the Blue Ridge Parkway to Highway 128 and turn right to get to the Park. After your visit, take Highway 128 back to the Parkway and then turn right to continue on the Blue Ridge Parkway south toward Asheville. From there, go east on Highway 70 through the town of Black Mountain, grab a bite to eat at one of the fabulous local restaurants, and then head back east to the Inn. A special note: Mount Mitchell State Park can be closed beginning in the late fall due to snow (yes, it can get snowy at high elevations at that time year), and it can remained closed through wintertime and into early spring. The best time to visit is between Memorial Day and mid-October. Don’t forget a jacket…temperatures in the hottest part of the summer can be in the 60s, with cooler weather during other times of the year. This entry was posted in Blue Ridge Parkway, Hiking and Waterfall Trails and tagged Blue Ridge Parkway, festivals and special events, hiking, outdoors, scenic drives, Summer by Inn on Mill Creek. Bookmark the permalink.